Among the caucasian cosplayers, this one here is one of the best I’ve seen. Well it makes sense really, most anime characters are based on Asian traits so they rarely look good when cosplayed by another race. 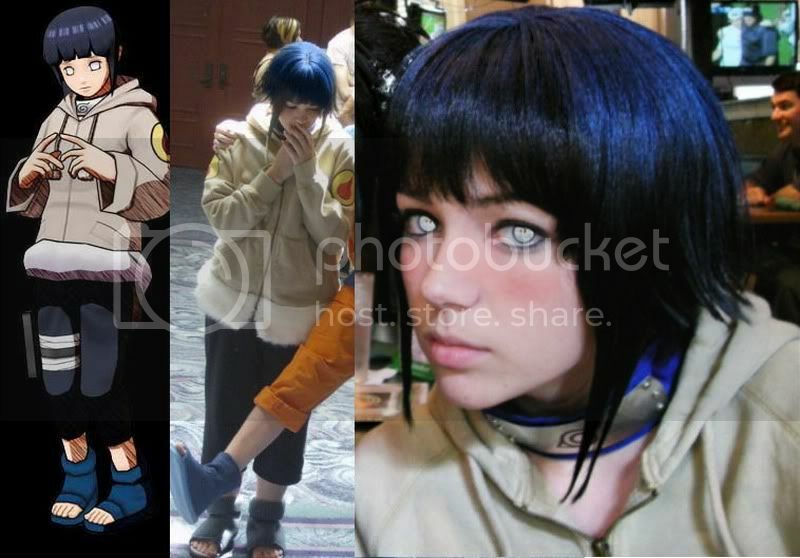 But this is a great cosplay of Hinata! Everything looks so natural it’s as if Hinata herself came out of the manga pages. I definitely give this cosplayer two thumbs up. The only female member in Team Guy, Tenten specializes in many different types of weaponry raging from projectiles to close combat. She also has the ability to summon hundreds of weapons to attack her opponent simultaneously with pinpoint accuracy. At one point in the first season, she uses her techniques to help Hyuga Neji strengthen his defensive techniques. He is probably the only one who can block all of her attacks. I actually like her costume in Shippuden than in the first season of Naruto. This photo was taken by Tony Quan, but since I found this in another site and not his own, I’m not sure how to properly credit it. But thanks for the photo! EDIT: Thanks to Chibified Kitsunes for pointing me to Chuwei’s Deviant Art! You are currently browsing the archives for the Naruto: Shippuden category.